Winter is here! What are your travel plans? Dussehra is around the corner - What are your travel plans? 5 ways to make the most of your Long Weekend for every traveller! Why monsoon is the best time to travel? Mother's Day - Show your Mom, that you care. Corporates Super Cup is back - Reasons why you must not miss it! Why should you choose Car Rental Service and why Voler? Customers Speak - How Driving The Best Helped Ganeshan Discover The Best? 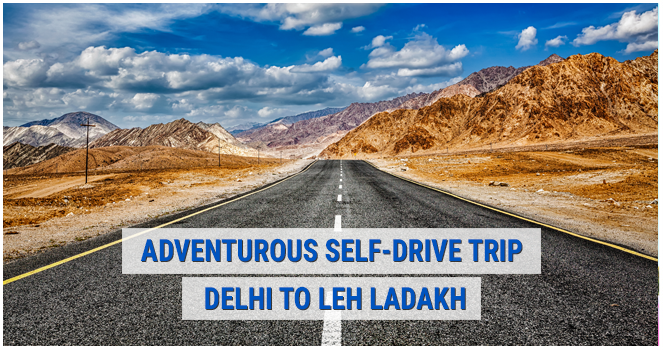 Self-drive to Leh Ladakh is an experience of its own - The journey will leave you spell bound and make you believe that "life is beautiful". With Leh Ladakh season is in full swing now, lots of adventure lovers prepare themselves to go for a drive over the roof of the world via the ever enthralling and adventurous mountain highways. 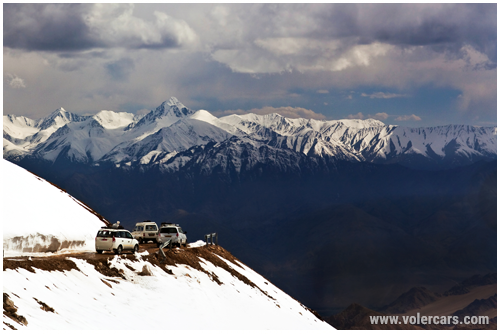 Travelling to Leh Ladakh by road is the most exciting experience for any travel enthusiast. It involves driving through some highest mountains in the world and passing vast semi-arid planes. Self drive to Ladakh offers picturesque sights of mountains in Greater Himalayas and Zanskar Range, stunning valleys and stunning view. Tibetan prayer flags in rainbow colours, prayer bells in Buddhist Monasteries add an essence of peace to your road trip. There are two roads car drivers can opt for to reach Leh town. 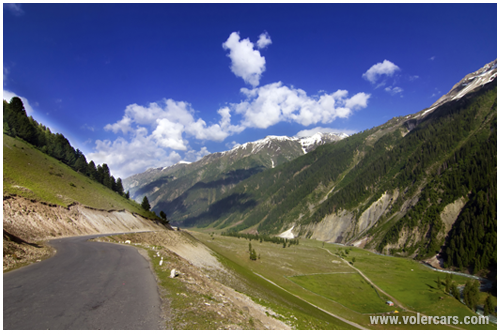 One is Srinagar-Leh Highway and the more popular one is Leh-Manali Highway. It is the perfect road for escapade but travellers need planning before opting for this route because the 464 km long highway has less civilization. For around 365 km on this mountain highway, there is no petrol pump as well. The highway offers a beautiful journey to Leh and you can also halt in places like Sarchu and Keylong for accommodation option as well. Travelling on this highway depends on the opening of Rohtang Pass, which is generally around the third week of May. The best time to travel on Manali - Leh highway is during the months of June to September as the condition of the road is perfect. The 434 km long highway connects the Leh Ladakh and rest of India via Kashmir Valley, Srinagar. It's also known as the national highway 1. NH1 is considered as the reliable one for most of the travel enthusiast. Driving alongside Indus river and through some high mountain passes named Zozi La, Namki La and Fotu La is an lifetime experience for adventure lover. Apart from its enchanting view it also offers some breathtaking landscapes ornamented by various historical and cultural constructions. The fun of travelling to a place like Leh Ladakh is with a driving in your own car - You can travel at your own pace, convenience and comfort. 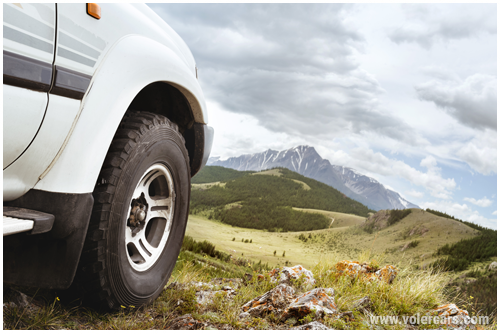 The biggest question, however, is which car suited the best for riding through barren terrain and mountains? A lot also depends on whether you are travelling solo, with friends or family. We will recommend you to drive SUV 4X4 Drive, SUV 2X4 Drive and Hatchback. These cars are built to handle worst stretches of road. If you want to travel hassle free, then you can check out self-driving car rental options from Volercars. We provide you best price along with exciting deals. We ensure your safety and comfort, our cars are cleaned and serviced prior the trip and we have various pickup points around the city but you can still choose to get the car delivered at your doorstep. Opt for freedom and flexibility to drive a car of your choice. Leh ladakh is the land of endless discovery - The huge mountain ranges make you feel like a dwarf. The Pangong Tso and Tso Moriri Lake is a great spot for camping. If you are the adventurous types, experience an Arabian Night at the Nubra Valley or visit the beautiful monastery at a hilltop known as Spituk Gompa. We bet you will find much more to explore and experience in this heaven on Earth. 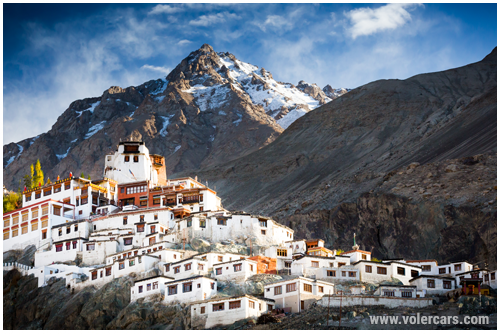 No trip is complete without mouthwatering cuisines and Leh Ladakh is famous for its Tibetan dishes. If you love the variety in your platter then there are much more options apart from quintessential instant noodles. 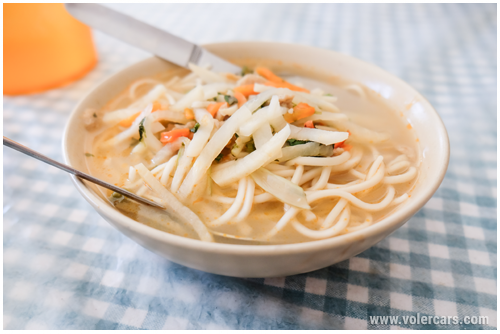 You can try Chupri (cheese from yak's milk) and Tigmo - It is a form of fermented and steamed bread, served with a veg/non-veg stew. These are easily available in the main market area. You can also try Thukpa, Momos and butter tea - Mouthwatering, right? Leh has amazing stay options too! You can stay in a relaxing resorts or opt camping under the stars is an experience of a lifetime. Book a self-drive car from Volercars and get ready for the adventure of a lifetime!